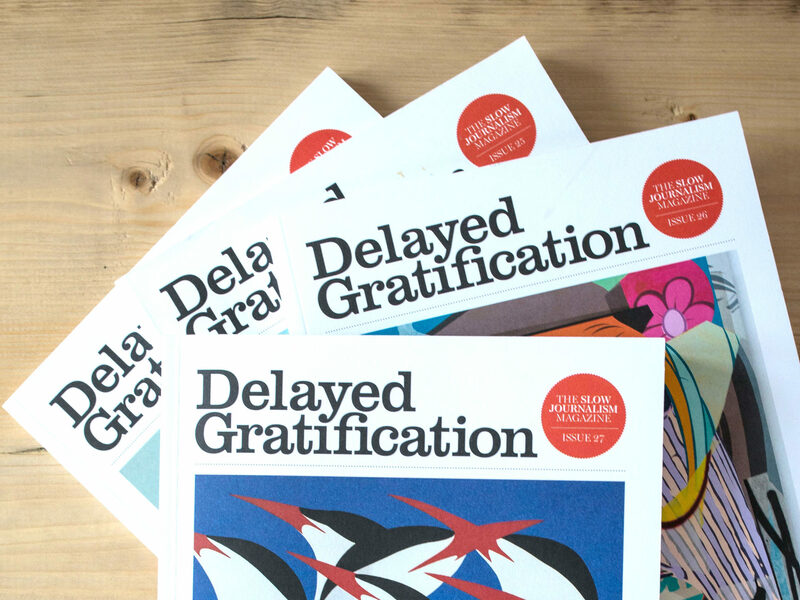 Delayed Gratification is a quarterly magazine looking at the previous three months of news to revisit key stories “after the dust has settled”. 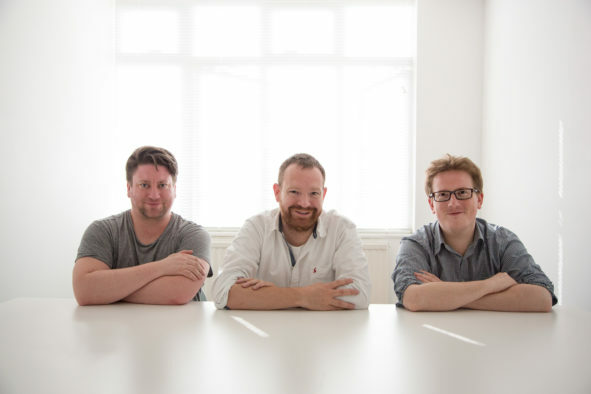 Founded in 2011 by Rob Orchard, Marcus Webb, Christian Tate, James Montague, Matthew Lee and Jeremy Lawrence, it claims to be the world’s first “slow journalism magazine”, featuring in-depth pieces rather than “knee-jerk” reactions to news events. 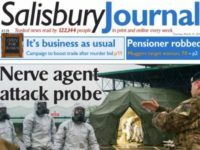 It has since reached a print readership of 24,000, including 5,000 subscribers, and turnover for 2017 is expected to be about £500,000. Press Gazette spoke with Orchard, also the magazine’s editor, about what it offers readers and the place of slow journalism in the news agenda. Where did the idea for Delayed Gratification come from? I had come back to England from Dubai with a real bee in my bonnet that I wanted to launch a magazine that wanted in some small way to be important. It was the recession and a time when newsrooms were cutting back and freelancer rates were plummeting. People weren’t commissioning big stuff anymore. Everyone was in love with digital, working out how to make money from it. Nobody was coming up with any good solutions, but at the same time were jettisoning print. It was quite a bleak, grim time. What we wanted to do was something like market defiance. So, where digital is super-fast, this would give perspective. Where digital is kind of disposable and constantly changing, this could be something that could be treasured and kept. With all the best stuff that paper can do: lovely print stock, beautiful design. Instead of telling you about stories while they were happening, what we would do is take a much more dispassionate approach. We’d look and see what was important, what was nonsense and turn to the big stories after the dust has settled. Part of it was sort of grand philosophical idea and this rebellion. For us, the direct parallel is with slow travel and slow food. Instead of releasing something with a knee-jerk reaction to a situation, you actually allow journalists the time to do what they do best. You give them three months, lots of help, guidance and the resources necessary and you send them out to try and get the truth. You get them to do what they’re supposed to do: canvas a lot of different opinions and get enough background information so they can get enough that is credible and useful to find out something that nobody else has found out so far. The perfect sort of slow journalism is a 4-5,000 properly reported piece bringing something new to the table, a real understanding that you wouldn’t have gained at the time. Very often, you find that the media report exhaustively on a story for four five days and then drop it, but you’re only halfway through a story and the most interesting things unfold after that. When looking at the news to cover in the magazine, how do you decide what to go back to? It’s just lots of digging around, looking for stories where something may have been covered in extreme depth but there were obvious question marks hanging over it. There’s certain events that are so seismic that you have to cover them. The magazine has to have this quite almanac function. We pitch it as either a slow news magazine, or a fast history book. We very often find that people who had been interviewed at the time actually have a very different perspective three months on. At the time they may be under great stress, they may be besieged by 20 press requests a day. Once they’ve had time to process, to look back on the events as dispassionately as they can, then you can really start to get a new angle out of them. The magazine is at odds with a frenzied 24-hour news cycle. Where do you think that part of the industry is headed? We’re only going to get faster. The genie is completely out of the bottle but you’ll get movements like ours that are trying to address it. There are actually some quite mainstream people talking about slow journalism. The big next wave is automated news reports, which is getting smarter. The rise of public relations and public relations cunningly disguised as journalism has increased too. 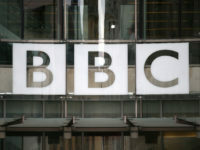 There’s a huge amount of money in it, and not in journalism, so that is a difficult balance. Is slow news an antidote to this? Yes. I think the way I see slow journalism is that it is complimentary. It’s not enough on its own. One function we can fulfill with earnest is explaining the background. I certainly find that news stories come up where I feel like I ought to know the background to the story, but I don’t. Without it, the story doesn’t make a huge amount of sense. I ought to know about the history of Zimbabwe and how Mugabe rose to power and then how that power was corrupted. But I don’t, and there are stories that come out all the time that don’t mean that much to me. I think we have this interesting function and opportunity to look at these events and talk about what’s happened since to give the deeper background and history to them. That’s a really useful role that we fulfill. In your 2014 TED talk [on the slow journalism revolution], you said that print newspapers will disappear by 2024. Do you still stand by that? I would be fascinated to see how the Guardian’s new model is working for them. If they can turn around a multi-million pound loss into a profit from that model then that feels like a real game changer. The mainstream stuff is really interesting because what you also have is old people dying all the time. Old people buy printed newspapers. When I talk at universities and ask students who read newspapers if they buy in print, hands go straight down. That’s a big deal, the print thing – printing stuff, shipping it around the country, putting it on newsstands and hoping people buy a decent percentage of it. I don’t know if these are sustainable things. Especially with advertising revenue still seeping away from print and going into online – that might become more difficult. I can see someone really perfecting print for order. If I could go into a coffee shop and print today’s copy of the Guardian on its newspaper in 30 seconds while I wait – that experience seems interesting.